This neighborhood in Nocatee is for the 55+ age group. You will be surprised when you see this gorgeous community. Yes, it offers an expansive array of activities and amenities, but it also is its own truly stunning place to live. Artisan Lakes is gated and the clubhouse is massive. There is a zero entry pool, 2 pickleball courts, 2 bocce ball courts, fitness center, demonstration kitchen, putting green, an event green, and parks all throughout the area. There are ten single-story floor plans (you can add a second floor for added space up to just over 4,000 sq. ft) and offer 2-5 bedrooms, up to 4 bathrooms. The sizing of the homes are from the mid 1700 to almost 2,900 square feet range. 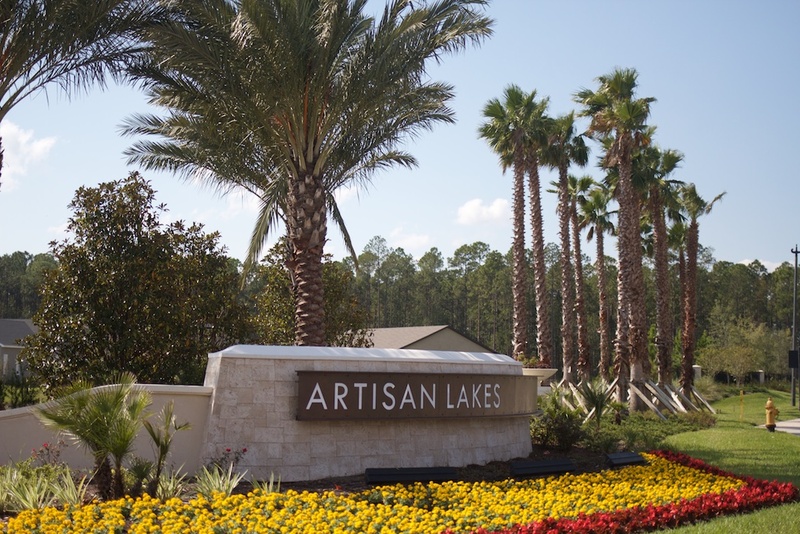 Here in Artisan Lakes there are almost 200 homesites and most back up to a park, water, or a preserve. CalAtlantic is the builder in this gorgeous neighborhood for an active lifestyle. Check out what's happening in Nocatee now!